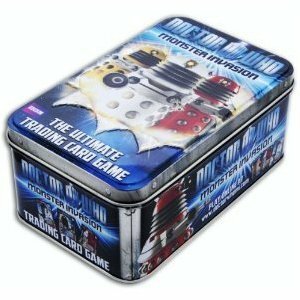 Collect and trade all your favourite heroes and villains with the Doctor Who Monster Trading Card Tin. Includes 5 packs of cards, plus exclusive special edition card. 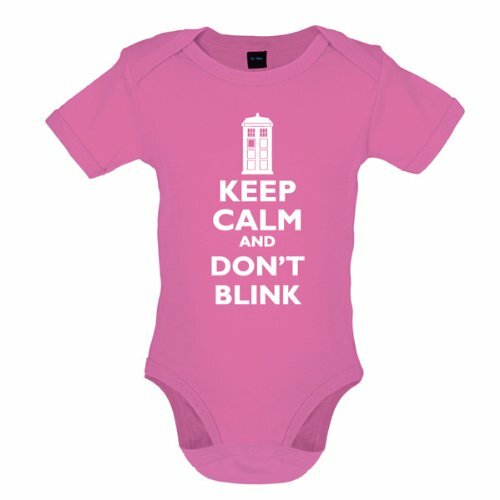 Making it a must for any fan of the Doctor. Suitable for ages 3 years + Safety Information: Warning. Not suitable for Children under 3 years. richy great tin Excellent way to start the monster invasion collection, 5 packs of cards, 1 exclusive card.The tin is fantasic, with the dalek detail on the lid, and images of the doctor and cards from the set on all the sides. and i got 2 ultra rare cards in this tin. 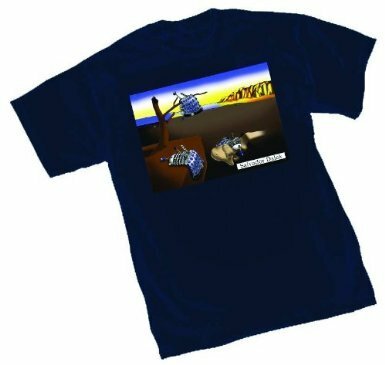 including a 3d dalek card :)This is a great buy for a dr who fan, who enjoys the current "new" series as the cards dont contain much based on the older series, apart from a few doctors. nikkinoodles value for money! This is a great set, was nervous after reading previous review but all card sets were there and she is really happy. What a show What really annoys me is people who view this story and say things like: 'It's not as good as it's supposed to be.' 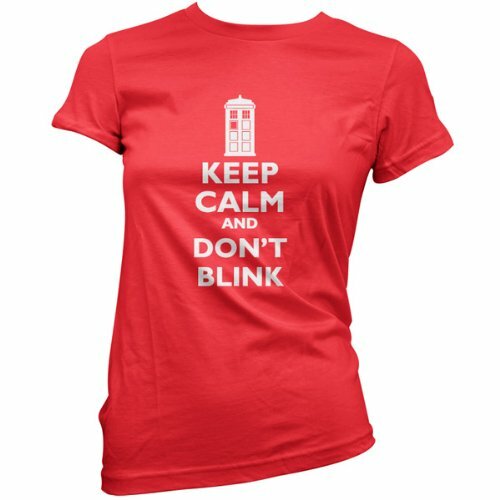 No doubt they would say the same thing about Power of the Daleks if it turned up. You know, you really have to place this yarn in the context of when it was made. Of course the effects aren't Star Wars, they didn't have the technology back then! But the mood, the setting and the characters make this great. It was never going to live up to the hype, wasn't possible... But it remains a classic example of sixties Dr Who at its best, and more power to it. 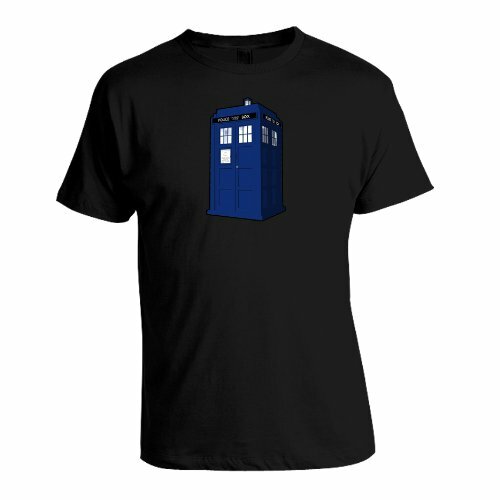 Shaun Cryer A total must for any Dr Who fan! 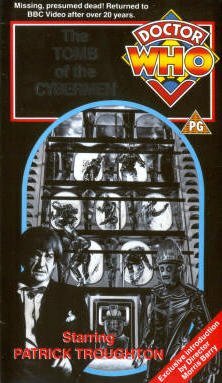 As someone who was not born until 1972 The Tomb of the Cybermen is a fantastic piece of late '60's TV and the only complete classic Patrick Troughton story to survive the mass junkings of the 1970's (his other surviving complete stories are no where near as good as this). 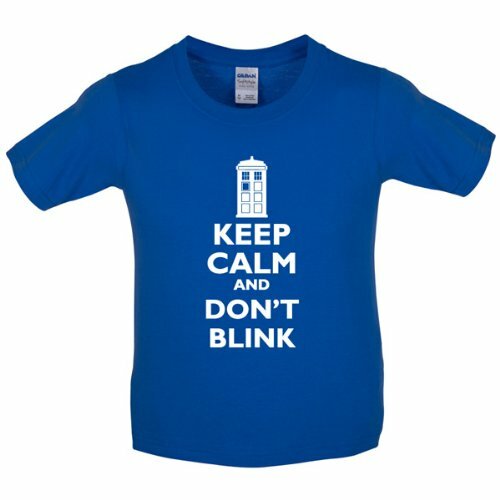 Bought as a present for avid Dr Who fan for Christmas who absolutely loved it. Needless tosay it was put on and worn immediately.